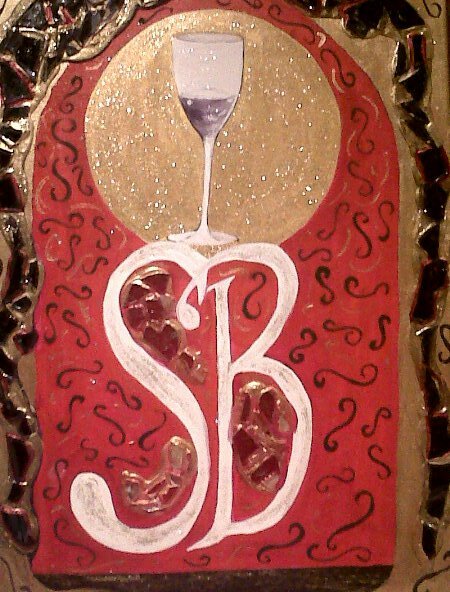 Jacqui Hawk will be exhibiting her original mixed media artwork at Stella Blu from Saturday 20 November through February 2011. Jacqui will be at Stella Blu Wednesday 24 November from 7pm to 9 pm and Wednesday 1 December 7pm to 9pm. “Jacqui Hawk’s work is eyecatching, fresh and inspiring, incorporating rich textures, layers of gesso, acrylics, pieces of stained glass and wax. This entry was posted in ART, Art by Jacqui Hawk and tagged ART, Exhibit. Bookmark the permalink.